Greetings, fellow tomb raiders! I know you must be eager to step into Lara Croft’s boots once more, fling her trusty pickax, and shoot some arrows in Trinity members’ faces. Like the Tomb Raider games before, Lara has an extensive skill set she can upgrade at camps. Some skills will automatically unlock through story progression, but others are at the player’s disposal to choose. The skills are divided up into three sections, allowing players to focus on elements that suit an individual’s play-style: Seeker, Warrior, and Scavenger. It’s tempting to acquire all the cheaper skills first (skills require a specific number of skill points to purchase), but doing so will put both you and Lara at an extreme disadvantage. 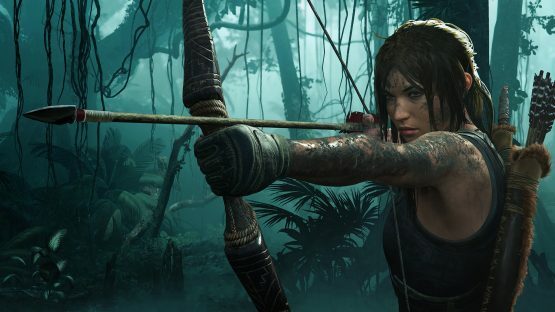 Before you take your first running leap off a cliff, here are the Shadow of the Tomb Raider skills you should unlock as soon as possible, in order. Never slip when grabbing ledges. More reaction time for traps and grappling enemies. Upon your first base camp visit, purchase this one immediately. Once unlocked, you can make every jump and platforming trick with half the anticipation. There are few things more annoying in this game than not reacting quickly enough to a QTE when Lara slips on a ledge. Considering this is the jungles of South America, yes, Lara will be swimming quite a bit. Many of the ruins flooded over time and have sunk below sea level. Embrace the fact Lara will be under the water almost more often than she will be above it and prepare for it. 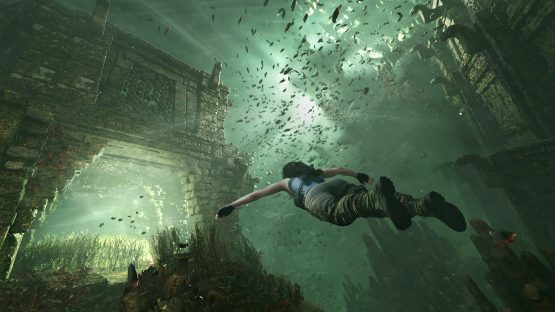 When Lara is underwater for long periods of time, she will need to reach pockets of air before she reaches her breath-holding limit. Holding down R2 makes Lara swim faster, but this skill practically has her sprinting in the water when pressing R2. Sure, you can’t outswim piranha, but they’re easy enough to avoid, especially if you swim quickly. Increase breath capacity when swimming underwater. Now Lara can swim like a fish and hold her breath as long as a whale. The underwater portions are instantly a cakewalk (or a cakeswim). Reveal traps using Survival Instincts. You are going to be pressing down that R3 button to activate Lara’s Survival Instincts nearly every step. Make your life even easier by highlighting traps in the tombs and crypts. Even better, highlighting them also indicates what you need to do to deactivate them. Reduce damage when falling from heights. Pretty self-explanatory here. It doesn’t take much to take out Lara in a fight, so even those odds a bit more with this skill. Perform a Stealth Kill Takedown without alerting nearby enemies. This one is also pretty self-explanatory. You still need to be wary of executing stealth kills when another enemy is actively watching your target, but now when you do take down someone no one is watching, they won’t make so much noise in their death rattles. Reduce noise from jumps, landings, and falls. Now Lara can jump from tree branch to tree branch or jump down without nearby enemies hearing her. This is as close to Batman as Lara can get. The following skills aren’t I’d say Lara HAS TO HAVE NAO, but they’ll be incredibly helpful, especially for completionists and those looking to make combat easier. Eagle’s Sight – Reveal Artifacts, Monoliths, Treasure Chests, Archivist Maps, and Explorer Backpacks while using Survival Instincts. Owl’s Wisdom – Reveal Challenge Objects while using Survival Instincts. Serpent’s Fury – Kill a second enemy during a Stealth Takedown to perform a Chained Takedown. Puma’s Rest – Increase precision by holding Charged Shots for a longer time. Puma’s Brace – Resist damage from enemies for a short period of time after healing wounds in combat. Godspeed and good luck, future raiders of tombs.